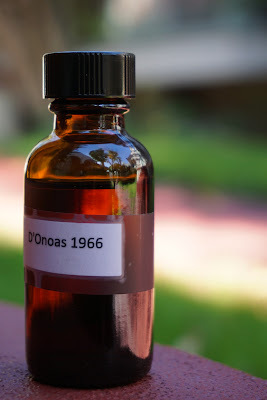 Domaine D'Ognoas 1966 Single Cask (40.0%): Today on this beautiful Southern California morning I wanted to treat myself with something good... Because why not..? Let's call it celebrating the arrival of the spring... It is a single cask from Domaine D'Ognoas distilled in 1966 and aged for more than fifty years. Color: Mahogany, russet with thick and slow moving legs. Nose: Molasses, burnt sugar and stewed prunes, plums and raisins. Like a fine aged rum with a lot of tamed funk in it... Candied orange peel, damp gardening soil, overripe apples and peanut brittles. New aromas evolve every minute. Sour cherry juice and orange blossom honey. Palate: Oh, my... Sweet and tart. Unadulterated apple cider, pomme lambic beer and ginger. Tartness fade away a little in time. Old oak staves, brown muscovado sugar and nutmeg. Medlar and persimmon. Thin in texture but loaded in flavor and bone dry. Finish: Medium long and dry. Orange soda and oak. Overall: Well, this is what a 50+ spirit tastes like... Amazing... Thin but silky texture, perfectly layered nose and a warming and pleasant palate. The tartness on the palate caught me by surprise but I enjoyed it immensely. This is a beautiful brandy but it understandably comes with a slightly hefty price tag... Thanks to Derek Kendzor for the sample.